I grew up in a time of more religious conservatism than I now embrace. That is not a criticism of my past or of anyone from that time who had a Christian influence on me. Absolutely not, I value, no, I treasure, that heritage. Having said that, something that I would have been hesitant to do at one time, and now I embrace, is regarding the subject of prayer: reading the written prayers of others. I can remember as a young teenager it was inferred by some in my religious circle that, “Prayers were personal and should be your own words.” Meaning, they had to be your own thoughts and said by you. I no longer hold to that thought now. Why? Over time we were told that praise and worship was acceptable in singing a song; meaning that if I didn’t write the words it was okay, as they are just words in a song. So if a song that someone else centuries ago created is acceptable, why not the written prayer of another? If a prayer written by someone else fits my thoughts, my needs, my emotions, and my requests at that time, then why can the singing of such a song written by someone else be valid, but not the prayer written by someone else? If you are a praying person, have you ever felt that way? The other night as I sat on our porch, shoes off, wearing a t-shirt and shorts with an ice tea in hand, it was late and I was thinking about a number of things and a number of people. I wanted to end my day with “prayer,” but the words were coming hard, and somehow they seemed to get stuck somewhere deep inside of me; they just wouldn’t come out. I then took out a prayer a friend of ours gave me some time ago, the words were most fitting. I read them, and I think they were heard even though I had not been the writer. Sometimes we can just be “all prayed out” but still feeling a need to say something. Sometimes we do something because it is the right thing to do. It may not be what we’d like to do or what we feel like doing, but it is the right thing to do. You say hello to that unfriendly neighbor or co-worker, cause it’s the right thing to do. You return someone else’s grocery cart to the rack, cause it’s the right thing to do. You stop to help someone who probably would not do likewise, cause it’s the right thing to do. You go visit someone in some situation, cause it’s the right thing to do. You do some things that are not based on what they would do or how worthy you might think they are. You pick up trash you did not discard, cause it’s the right thing to do. You congratulate the winner in a contest you’ve lost, not because you like to lose, but because it’s the right thing to do. Bob Costa, the well-known sports broadcaster, was asked to deliver the eulogy at his boyhood hero’s funeral, Mickey Mantle. Costa is a gifted speaker, but shortly into his remarks he noticed someone who caught his eye and his mind. Over near the side wall of the church about halfway back, he noticed this person sitting all by himself. The seventy-four year old man was battling cancer at the time. He was a man who could not have lived his life more differently than the one that was being honored that day. This man was a church man and a family man; most would never have associated him with Mantle’s crowd. Nobody would have marked him “absent” had he chosen not to attend that day’s activities. He flew on a plane from his home, took a cab to the church, and, later, took a return flight that night back home. This man was the legendary baseball player, Stan Musial, who showed up because in his mind, it was the right thing to do. Some people are old school and say “There is a right way to do things and a wrong way to do things,” and to Musial, the right thing was to be present at Mickey Mantle’s funeral. Costa’s words made me think that we don’t always have to be 100 percent in someone’s camp or agree with their way of thinking to show respect and kindness to their memory and to their family. Sometimes in life we need to do things, cause they’re the right thing to do. This goes for one’s country and for one’s person. In the 1968 movie, “Peggy Sue Got Married,” Kathleen Turner is a woman on the verge of a divorce when she is transported back in time to the days of her senior year in high school. There is a scene that has her attending her high school reunion and reconnecting with old schoolmates. While there, she feels for a locket she wore around her neck. Somehow it opens, and the pictures of her current three children are not there. This causes her to think, “Do I really wish to go back in time or be here in reality? If she went back to her school years, there would be no children. Her dilemma is determining where in time should she be. This past week I had the opportunity to hear and talk with Tony Artra. Tony is a songwriter here in Nashville, and I might say, a very successful one. Perhaps you will recognize at least one of his works. how could I’ve known that you’d ever say good-bye? Holdin’ you, I’d held everything; for a moment, wasn’t I the king? But if I’d only known how the king would fall? Hey, who’s to say, you know, I might have changed it all. But I’d have to miss the dance. Side bar: Arta pitched that song for three years to every label in Nashville, and they all turned him down. One night Artra and a young guy new to Nashville were playing a songwriter’s venture at the Bluebird. The young guy said to Arta, “If I ever get a recording contract, I will record that song.” He did. The young guy was Garth Brooks, and the rest is history. When there is less than ten seconds on the clock and your opponent has the ball and you’re twenty points behind, what do you do? Two words: you lose. This past Saturday, I attended a college baseball game, three high school basketball state tournament games and two college basketball games. Yes, all in the same great day! In all six of those games, “my” team lost. Now, I didn’t consider jumping off the batman building here in Nashville, or jumping into the Cumberland River. But I did have more than a passing interest, especially in the last college basketball game. I am friends with the coaches and familiar with the players. It was the last home game for the seniors and they lost. Late, very late, that night as I was driving home, I began thinking about the matter of “losing,” and for me, there was still a bit of a sting. Now I don’t advocate losing for the sake of losing so one can say, “Well, now I’m a better person,” but I do think there is something to be learned when one comes out on the short end of the score. Losing is something I think we all need to learn, as well as how and what to do with it when it happens. A writer once wrote about a famous basketball player, “His father had taught him everything but how to lose.” And consequently, when losing did come to him, there were problems for that young man. Sooner or later, losing appears to everyone in various forms. Losing is disappointing. And in life, there are a lot of disappointments. She/he broke up with you, the breakup hurt, you didn’t get that job, words like cancer, divorce and death. 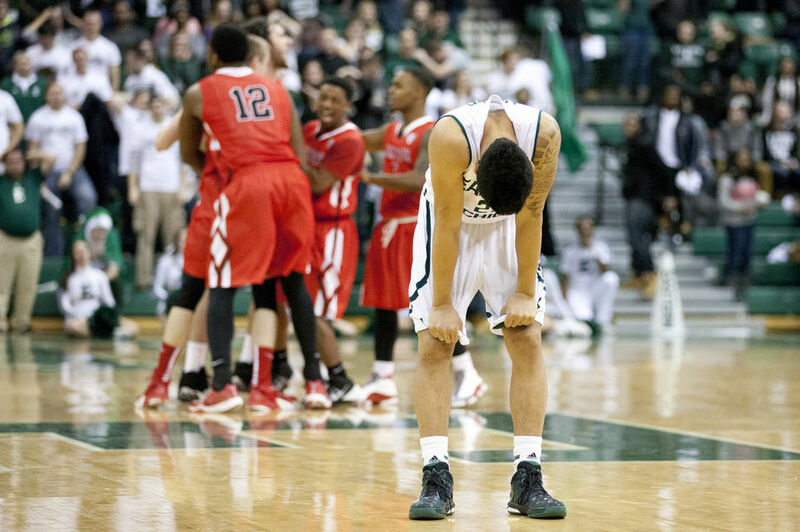 Losing comes in a lot of forms other than numbers on a score board. By the way, if you are a fan and your team loses, don’t be like so many people I have seen over the years, “When your team is winning you are the first to drive the bus, but when they are losing, you forget where the bus was parked.” The bus runs both ways- to the game and back home. Oh, also, one thing I always found that helped after a loss, try to find your girlfriend. Recently I was reading a book, Everybody’s Normal Until You Get To Know Them, by John Ortberg. The thread of the book is that everyone appears to the naked eye to be normal. But upon closer examination, and over time with contact and interaction, often it is otherwise. Everyone has their flaws and faults. One of my favorite movies, taken from a book written by Larry McMurty, is “Lonesome Dove.” McMurty is one of my favorite writers. He hails from Archer City, Texas, population 1,774. On a couple occasions I visited that very small town. Another one of my favorite movies is also a McMurty product, “The Last Picture Show.” Much of that movie was filmed in his home town of Archer City. Once while there I visited the old high school football field, the county courthouse, and the local eatery. I do remember the eatery had a number of Ernest Tubb, Bob Wills, and Hank Williams songs on its jukebox. Well now that certainly speaks well of a community. 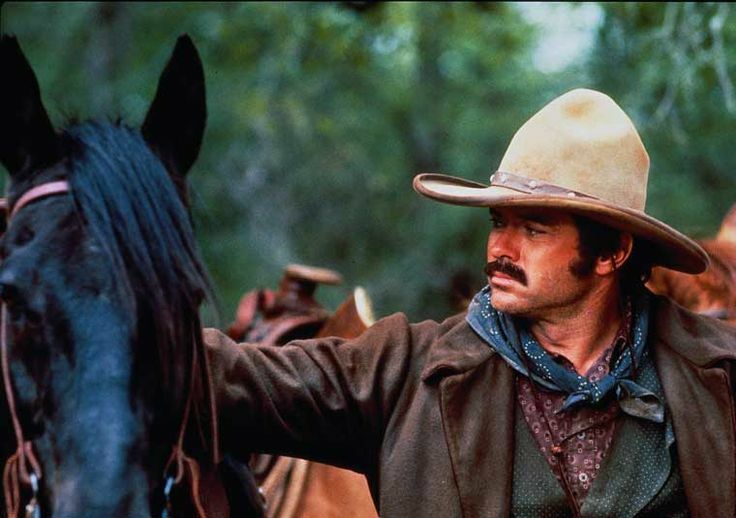 There are some great characters in the book and movie, “Lonesome Dove.” Early in the plot young Newt has a fixation with the character, Jake Spoon. Jake is one of those characters that up front has charm and a way with people. You like him, and he appears harmless; but as time moves on it becomes apparent that Jake is really an empty soul. Jake is the kind of guy that as time continues there appears more “dust” on him that was first present. But you know if the truth be said, probably all of us have been a “leaky vessel” a few times in our own lives. I do, and pretty much always have beginning back to my teenage days. In 2008 Morgan Freeman and Jack Nicholson appeared in the movie “The Bucket List” and thus helped popularize this idea. The idea being that before one dies they have a list of things they want to do. Freeman and Nicholson were two people who had a terminal illness and before their demise had things they wanted to see and do. I guess I have always had a bucket list in one way or another. Beginning in my teenage years there has always been performers and certain sports figures I wanted to see, and in some cases meet. Being a product of the late 50s’ most of those performers were from that time. Yes, many of them were famous, others not so well known. Over the years, yes, I saw Elvis. Oh my, and Sinatra many times. I was even at his 80th birthday performance in New Jersey. Little Richard, Jerry Lee (Lewis) Fats (Domino), Chuck (Berry) all of these numerous times. Saw Rick Nelson, Carl Perkins and the legendary Buddy Holly once at an outdoor venue in northern Indiana. Well, my bucket list wish was even more than I might have imagined. I had always wanted to meet Tillotson. For countless hours I have listened to him (and 50s’ others) and played his records often while driving my old corvette. Even all these years later he still adds so much to a summer night, top down and just cruising down the road with Johnny Tillotson singing, “Pledging my Love,” “Earth Angel” and many other such songs. 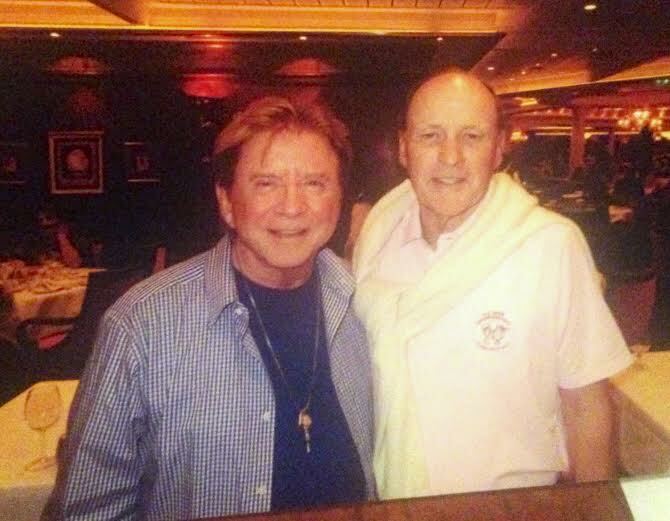 During this cruise my wife and I had the good fortune to meet Johnny and his wife, Nancy. I am always somewhat hesitant to take too much of a well known person’s time. I don’t want to be one of those people (fans) who is not respectful of another person’s time and space. Johnny and his wife were so kind and generous with their time as each evening at dinner we sat at neighboring tables. They openly shared conversation with my wife and I and the other couple that was with us. Much of that conversation being about his career and questions I had often wondered about. I thought I would never have the opportunity to be with him in person. After the cruise and some time spent in Florida, my wife and I were driving back to our home in Tennessee. We were driving on the interstate and my cell phone rang. My wife answered my phone, spoke for a moment with the caller and then handed the phone to me; she said,”The call is for you.” You could have knocked me over with a feather. It was Johnny Tillotson on my phone calling to speak with me. Now how about that for a bucket list finish? A week with a bucket list wish and then “He” calls. Ever rummage around in some old boxes, books, or a closet and find an old picture? Here is one I recently found. It makes me smile and also gives me a touch of sadness. The picture was taken probably late 1960s’ or very early 1970s’. In the picture are two of my cousins, Tom Montgomery and Mona Miller, and their spouses, Louise and Bruce, along with my wife, Barbara, and me. 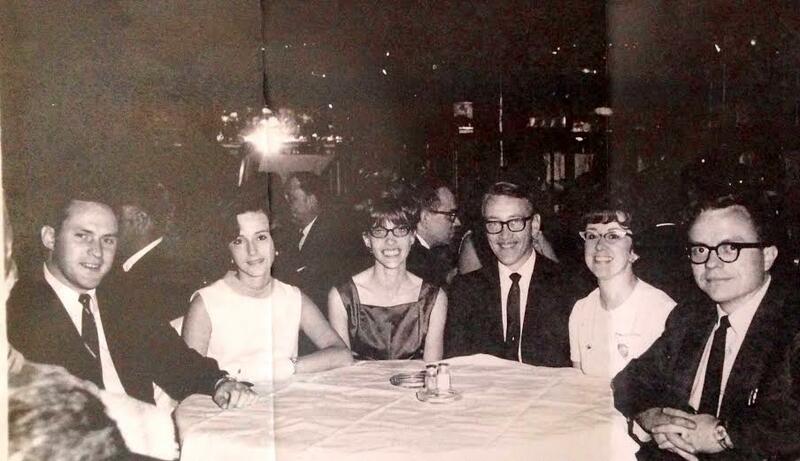 The picture was taken at the Palmer House Hotel in Chicago, as we were there for one of those rare get-away week-ends. It was taken in the main ballroom while we were having dinner and to see Tony Bennett. 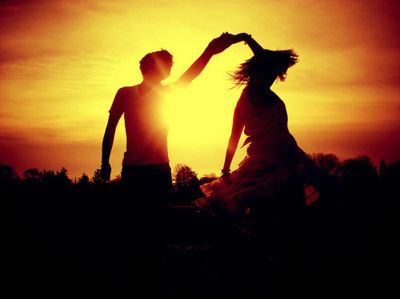 For me, often pictures create songs and songs create memories. Memories are made of this … truly they are. They say a picture is worth a thousand words. I often think we, as an American society, have gotten things way out of whack. We’ve gone overboard regarding the matter of sports in our country. Especially the “winning at all costs” attitude and philosophy. If you think I am over stating my case, attend a University of Kentucky, Louisville, basketball game, or many other so-called major universities in our country today. Go sit in one of the super grandstands on a Saturday or Sunday afternoon in many of our major cities and listen to some folks sitting around you. You might think their very being and life depended on the score and outcome of that contest. Now, I must admit that those thoughts have come with my aging, as I once did not feel as strongly as I do now. For the few brief years that I coached, I thought winning was pretty important, and I had many a late night and early morning blues the following day still trying to shake off a loss. I was not totally crazy, but I have stood at the bank of that pit and looked in at myself and a few of my associates. Again don’t get me wrong, I believe that the participants should try to win any contest, and winning has its merits. But what I see today with our society is that we are placing too many athletes and, I will add, coaches in positions they do not merit and we are definitely spending too much money in the area of sports. Today ten year old stadiums, previously built with taxpayer’s monies, are now being told, “We need more sky boxes.” Come on, I grew up when the Cleveland Browns or the New York Giants football teams played their games at the baseball stadiums of their respective baseball teams in their cities. It appeared to me that folks showed up for the games, and at the end of the game they declared a winner and loser. For almost everyone on any level, sooner or later victory often goes another direction. Very few things in life are permanent, and so it’s true with winning, it is only temporary.